Join us in one of the most iconic streets for upscale shopping in America ! Worth Avenue, with its shady pedestrian streets lined with palm trees, is a « must » destination for any fashionista ! 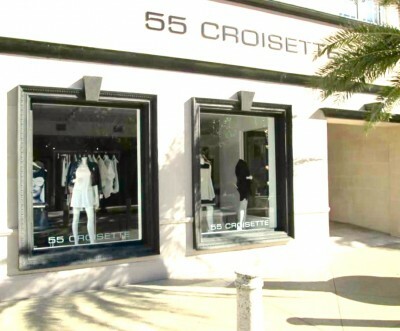 55 CROISETTE has become a reference in France in the world of fashion – the founders have now opened in Palm Beach where they offer the best of European fashion. Let yourself be guided by Corinne and Stephane at 55 CROISETTE. They will come out with the perfect outfit for you and help you find the perfume which will match your personality and your style !